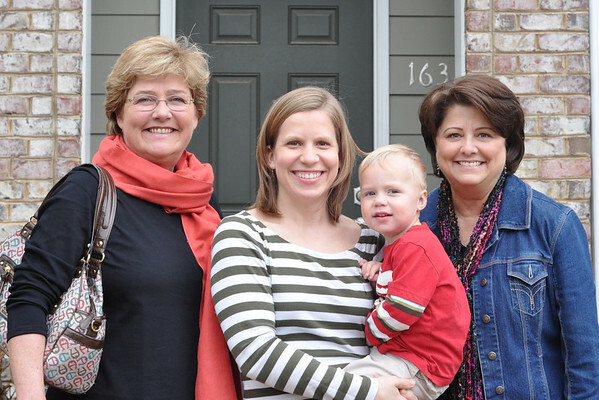 My aunts (who happen to be two of my favorite people) were passing through the Raleigh area this morning, and I was thrilled to have them over for breakfast. They both follow the Paleo Diet, so my original idea of whole-wheat pancakes was not a good fit. 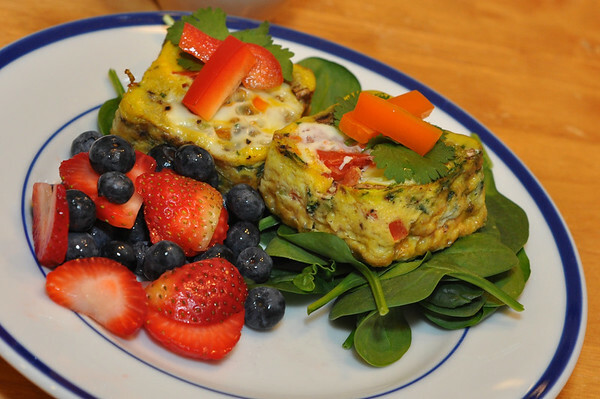 Instead I found an easy video recipe for crust-less quiche that fits Paleo guidelines. 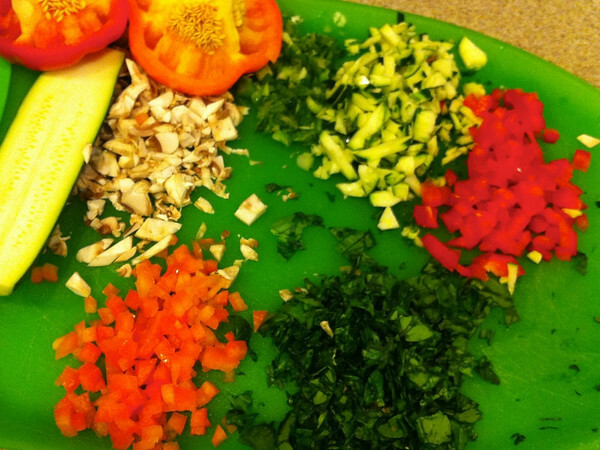 The recipe starts with lots of chopped veggies. I adjusted the recipe to use the veggies I wanted: zucchini, tomatoes, mushrooms, green onions, red pepper, orange pepper, and fresh spinach. In a pitcher I whisked a dozen fresh, local eggs with a splash of water, salt, and pepper. 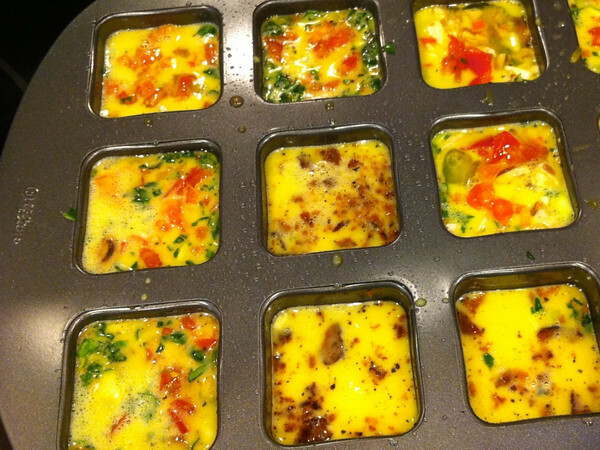 To cook the quiche, I decided to try my new Wilton 12-bar brownie pan that I received for Christmas. I greased each well of the pan with coconut oil, as prescribed by the Paleo diet. I filled each well with 1/3 eggs, 1/3 veggies, and topped it off with a little more egg. (I also cooked two pieces of humanely-raised bacon for Jim’s quiche). After baking at 350-degrees for 20-23 minutes, our crust-less quiche was ready. While researching what to cook for my aunts, I read that fruit is acceptable and berries are preferred, so I added fresh strawberries and blueberries to our breakfast. 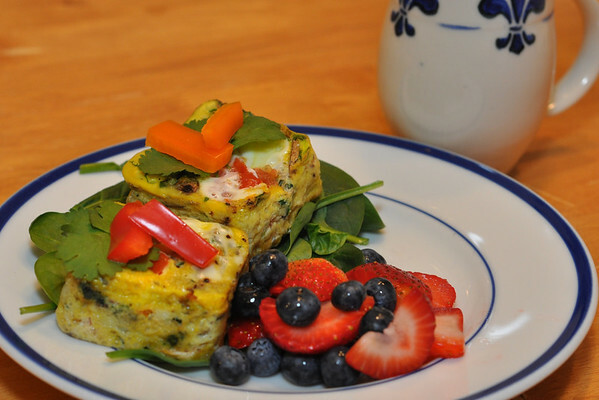 Jim made his perfect drip coffee, and we all sat down to a wonderful, colorful breakfast! Everything in today’s Paleo breakfast fit into my “real food” philosophy too, so we had a happy crew sharing a delicious, fresh breakfast this morning! Our visit was short, but delightful as always. My mom’s sisters are special people who inspire and encourage me. They’re also a ton of FUN. I can’t wait to see my aunts again later this week when they pass through town again!